Dr Claire McAndrew joined The Bartlett School of Graduate Studies as a Research Associate in 2011. 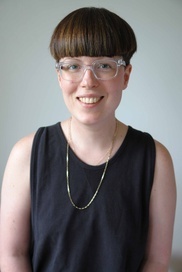 She is currently working with Professor Alexi Marmot on the dissemination of consultancy data examining the growing fragmentation of time and space in managerial work and its implications for the spatial design of ‘new order’ organizations. Prior to joining The Bartlett, Claire worked in the research group Information Environments at University of the Arts London. She worked as a research assistant on Safer Spaces: Communication design for counter terror (EPSRC, ESRC & AHRC); a co-investigator on Information Visualisation in collaboration with the National Institute of Design, India (Creative Connexions); and a joint-principal investigator on Designing with Intent: Influencing behaviour in transitional spaces (Defence Science and Technology Laboratory). Through these projects she has collaborated with the architecture & interaction design practice Jason Bruges Studio, the typographer & artist Sam Winston and the design research consultancy Walker research + experiential design. Claire was awarded Chartered Psychologist status in 2011. She completed her PhD in the field of Naturalistic Decision Making (2008) and MSc in Occupational and Organisational Psychology (2004) at the University of Surrey, UK. Claire is also a Visiting Practitioner at Central Saint Martins, University of the Arts London.